Where to find and learn all five Secret Techniques in Pokémon: Let's Go. 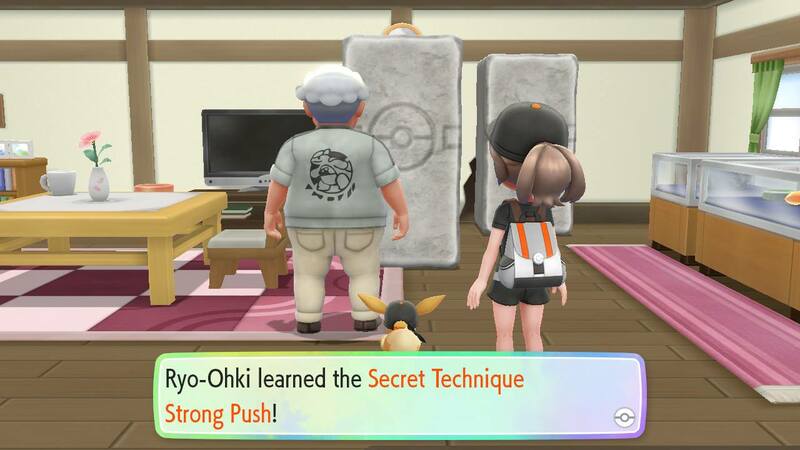 If you’ve been playing a lot of Pokémon: Let’s Go, you may find yourself asking how to learn all Secret Techniques. In the game, Secret Techniques replace the concept of HMs like Cut or Surf. Rather than teaching one of these moves to a suitable Pokémon, either Pikachu or Eevee (depending on which version of the game you own) will ask to learn these moves. Once Pikachu or Eevee learns a Secret Technique, they can use it whenever you need them to. Right now, there are a total of five Secret Techniques in Pokémon: Let’s Go. Having a hard time finding one, like Sea Skim or Sky Dash? We’ve got you covered! Below, we’ve put together a guide on how to find and learn all Secret Techniques in Pokémon: Let’s Go! 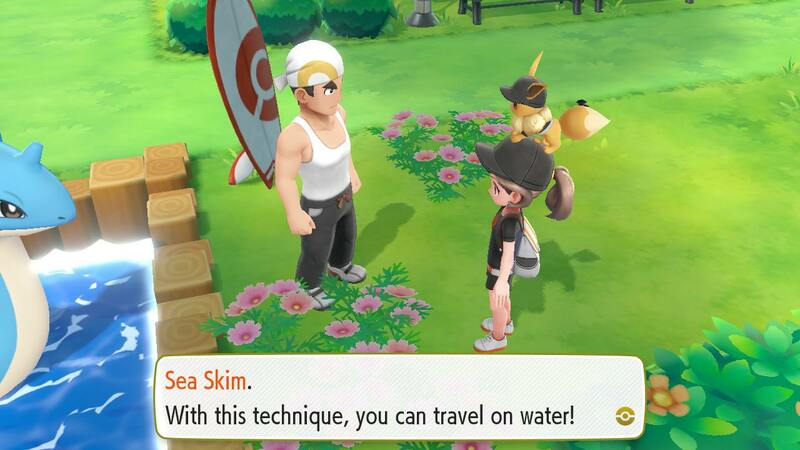 Below, we'll walk you through where you can learn all Secret Techniques including Sea Skim in Pokémon: Let's Go! As stated above, there are a total of five Secret Techniques that either Eevee or Pikachu can learn in Pokémon: Let’s Go. To learn a Secret Technique, you’ll first need to find and talk to a specific NPC. For example, to learn Sea Skim you’ll need to find an NPC in Fuchsia City. To help make the process easier, we’ve listed where to find and learn all five Secret Techniques in Pokémon: Let’s Go down below. Visit Professor Oak's Assistant outside Diglett's Cave before heading to Vermillion City to learn Light Up in Pokémon: Let's Go. In Pokémon: Let’s Go, Light Up replaces the HM, Flash. To learn Light Up, you’ll need to make your way through Diglett’s Cave which connects to Vermillion City. After you exit Diglett’s Cave and before you enter Vermillion City, you’ll stumble across the home of Professor Oak’s Assistant. 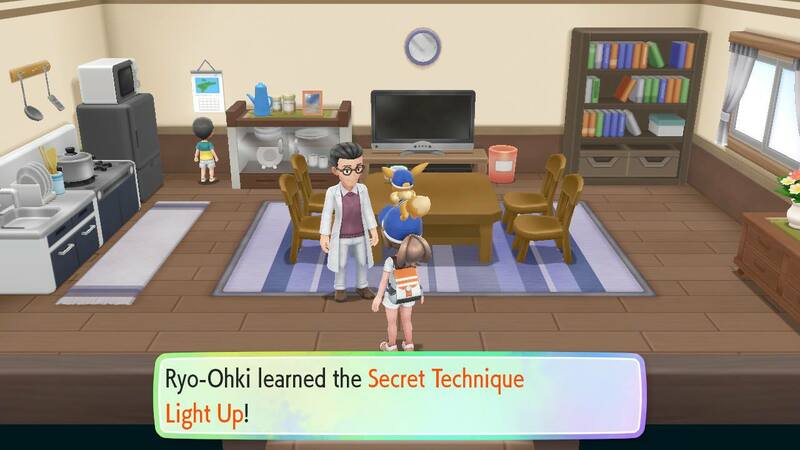 Talk to Professor Oak’s Assistant, and he’ll teach your Pikachu or Eevee a Secret Technique called Light Up. Using Light Up, you can illuminate dark cave areas in Pokémon: Let's Go. Visit the Captain of the S.S. Anne to learn Chop Down in Pokémon: Let's Go. In Pokémon: Let’s Go, Chop Down replaces the HM, Cut. 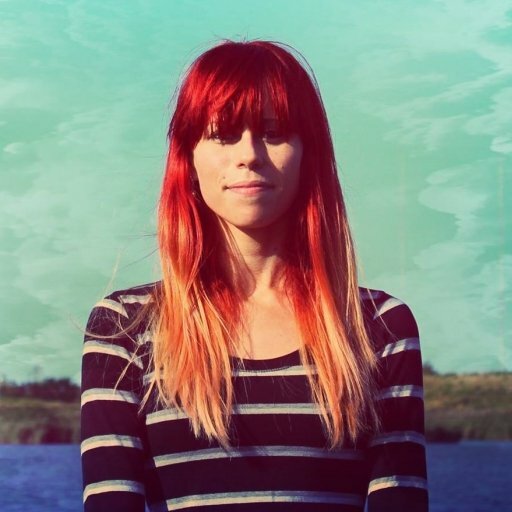 To learn Chop Down, you’ll need to grab tickets to the S.S. Anne from Bill. You can find Bill’s House to the North of Cerulean City. After helping Bill return to human form, he’ll reward you with tickets to the S.S. Anne. Next, head to Vermillion City’s port and board the S.S. Anne (while collecting the Sailor Outfit Set). Climb the stairs and you’ll encounter your Rival. After battling, you can enter the office of the ship’s seasick Captain. 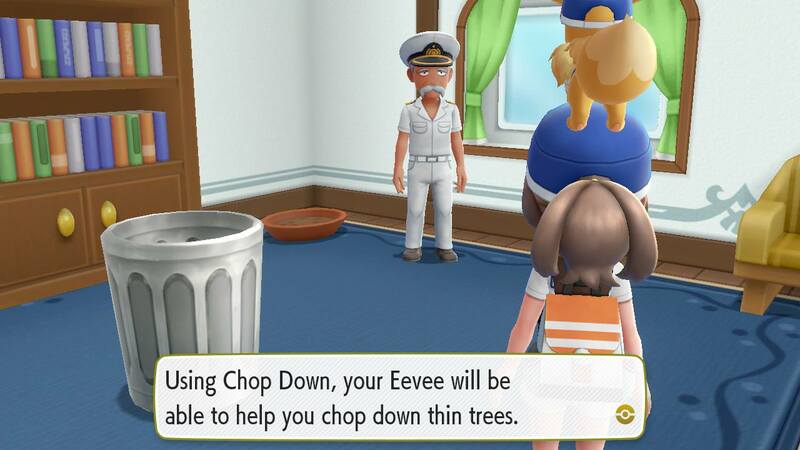 After helping ease his seasickness, the Captain will teach your Pikachu or Eevee a Secret Technique called Chop Down. Using Chop Down, you can cut small trees that block your path, including the tree that blocks the entrance to the Gym in Vermillion City. 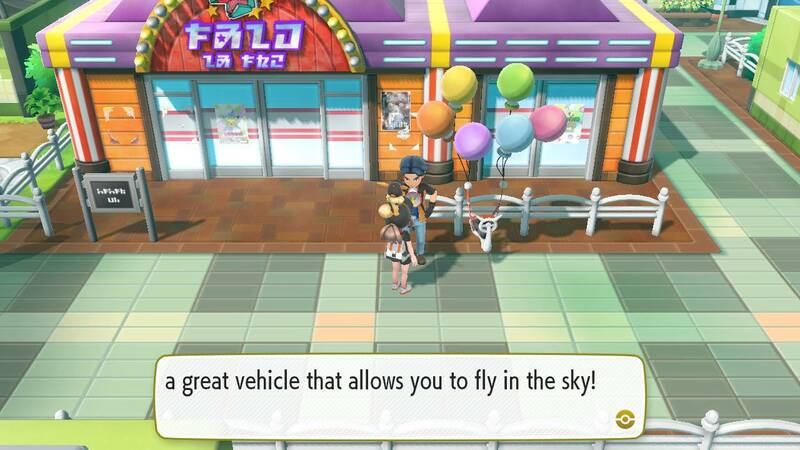 Talk to the man with the flying machine outside the Rocket Game Corner to learn Sky Dash in Pokémon: Let's Go. In Pokémon: Let’s Go, Sky Dash replaces the HM, Fly. To learn Sky Dash, you’ll need to defeat Team Rocket by finding and exploring their Secret Headquarters. To find the Secret Headquarters, head to Celadon City and enter the Rocket Game Corner. Inside the Rocket Game Corner, interact with a poster to the right of the Cashier. In doing so, you’ll open a stairwell that leads to the basement. Defeat Team Rocket, then exit the Rocket Game Corner and you’ll spot a man with a strange flying machine outside. Interact with the man, and he’ll teach your Pikachu or Eevee a Secret Technique called Sky Dash. Using Sky Dash, you can open your Town Map and fast travel to any town you previously discovered. Find the man with his Lapras outside the GO Park Complex in Fuchsia City to learn Sea Skim in Pokémon: Let's Go. On the left, you’ll find a man with a Lapras. Speak to the man, and he’ll teach your Pikachu or Eevee a Secret Technique called Sea Skim. He’ll also give you a Surfboard. 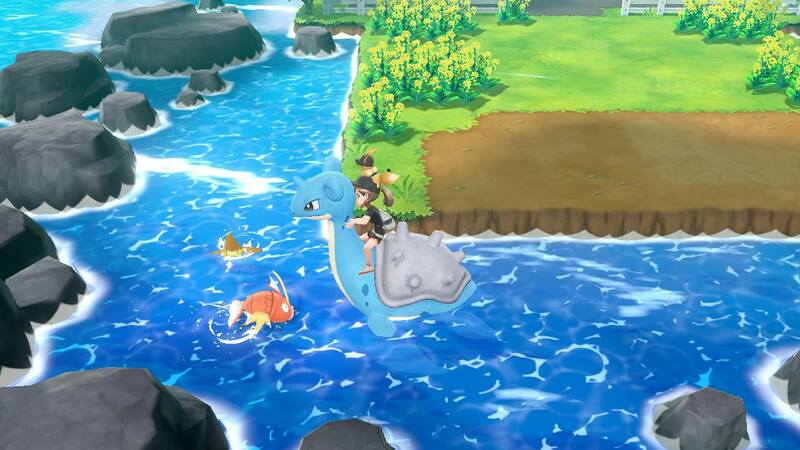 Using Sea Skim, you can travel over watery terrain with Pikachu or Eevee on the Surfboard, or using a rideable Pokémon like Lapras. Give the Warden back his Gold Teeth and he'll teach you Strong Push in Pokémon: Let's Go. In Pokémon: Let’s Go, Strong Push replaces the HM, Strength. To learn Strong Push, you’ll need to head to the Southern edge of Fuchsia City. There, you’ll encounter Team Rocket. Speak with Team Rocket and collect the Gold Teeth from them. With these Gold Teeth, you can return to Fuchsia City and visit the Warden’s House. Speak with the Warden and give him his Gold Teeth. As a reward, he’ll give you the Safari Outfit Set, and will teach your Pikachu or Eevee a Secret Technique called Strong Push. Using Strong Push, you’ll be able to clear large rocks and boulders from your path. By interacting with NPCs, you’ll be able to learn Secret Techniques, and pick up cosmetic items like Outfit Sets. Out of the five Secret Techniques in Pokémon: Let’s Go, which one is your favorite to use? Let us know down in the comments below! For more on Pokémon: Let’s Go, be sure to check out some of our previous guides including whether or not you can get a Fishing Rod in Pokémon: Let’s Go, how to get a Moon Stone in Pokémon: Let’s Go, and all Berry types in Pokémon: Let’s Go. By reading through this guide, you should now know how to learn all five Secret Techniques in Pokémon: Let’s Go.